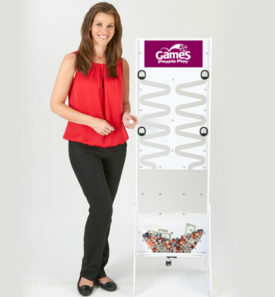 The uniquely designed Deluxe Donation Stand makes fundraising fun! 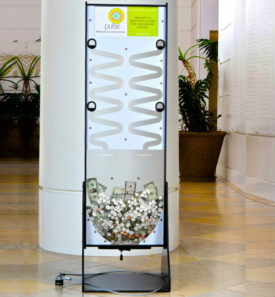 The Deluxe Donation Stand is ideal for museums, galleries, theaters, hospitals, banks, churches, charities, companies with fundraising campaigns, aquariums and zoos. Coins are dropped into any one of four slots. Watch them wind their way down into the money depository area at the bottom. As the money collects, it forms an eye-catching “money wall”.